Exactly one year has passed since the Narendra Modi government announced the Deen Dayal Upadhyaya Gram Jyoti Yojana (DDUGJY) to provide continuous power supply to rural India. Still, hundreds of villages and hamlets of Barmer and Jaisalmer districts in Rajasthan use chimney lamps. Though electricity has reached the border villages, lines have not been laid and connections are yet to be given. Bahla village of Jaisalmer district, situated 9 km from the international border with Pakistan, uses lanterns though it was declared completely electrified seven years ago. Similarly, Dhanana village, which received a power connection to operate a tube well 10 years back, was declared fully electrified. 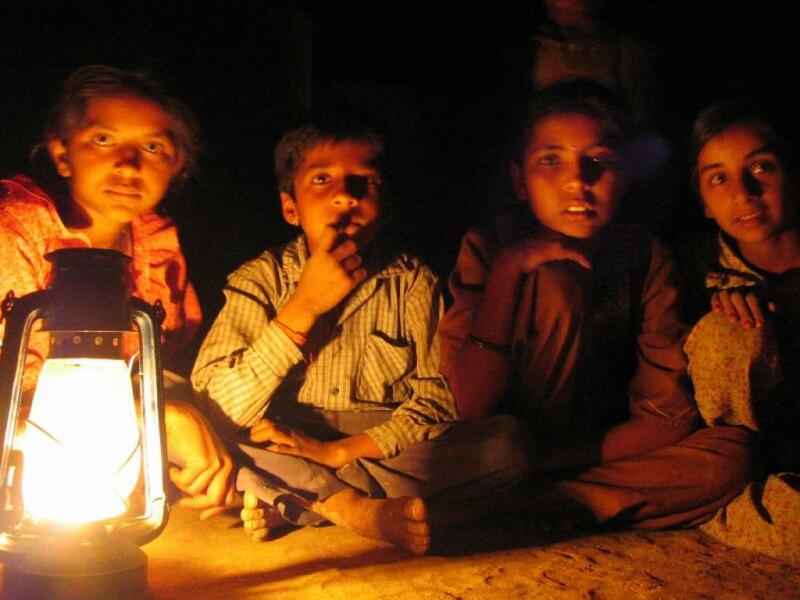 However, the village plunges into darkness every evening in absence of electricity. The situation is equally discouraging across all the villages near the India-Pakistan border. While transformers are installed in some villages and they are connected to the grid, connections have not been given to houses. In many villages, electricity poles have been installed, but lines have not been laid. While the affluent residents use solar energy, others are still trying their luck with their appeals to successive governments. Students have no other option but to use chimney or solar lamps to study; fans and coolers can’t be used even in the height of summer and if any farm equipment gets broken, the locals have to travel to another village for simple welding work. The locals depend on BSF for such facilities. Resolutions submitted by the village panchayats and district councils to electricity department officials have not yielded any results. Many villages and hamlets such as Harnau, Jhalaria, Karmavali, Langtala, Mandla, Rablau and others still use lanterns and chimney lamps. Villages such as Ghantiyali, Kishangarh, Puria Beri and Ranau do not have electricity though poles have been erected some time back. According to Ram Garg of the DDUGJY, though a scheme to electrify Tanot village—the last notable village before the international border—was undertaken seven years ago, the power lines were stolen and the project was nixed. He also claims that a new scheme is being drafted to electrify the village. While villages in Jaisalmer are deprived of traditional sources of power, they have also witnessed plummeting power generation through non-conventional sectors like wind energy. Out of the 3,000 windmill units in the district, most of them remain unoperational for almost half the day. Instead of 2,500-3,000mW power that is expected to be generated from windmill plants in Jaisalmer, less than 1,500mW electricity is generated. The reason for this underperformance lies in frequent power cuts. While windmills are capable of generating electricity to its maximum capacity during wind season, the same energy doesn’t get transmitted since the state is woefully short of transmission lines. The half-day closures of windmill plants are causing heavy losses to the country as electricity is not generated during this period. Only three crore unit electricity is generated while the actual capacity is seven crore units. Owing to the lack of transmission lines, this clean energy is not reaching the end users. Currently, Jaisalmer has one 400 kV station for transmission at national grid and two substations of 220kV each at Amarsagar and Ramgarh. That is why Solar pumps are popular in Rajasthan compared to mother states.